The exclusivity PlayStation holds over some of Destiny's content will continue until at least spring 2017. In an interview with IGN, Bungie community manager David 'Deej' Dague confirmed the game's exclusivity schedule, which can also be found on its official site. The time frame matches with when many are expecting Bungie's Destiny 2 to launch, which was recently reconfirmed thanks to the company's earnings report. The PS4 exclusive content already includes gear sets, Strikes, and Crucible maps, but even more will be added with the upcoming Rise of Iron expansion, including a ship, the 'Show of Strength' quest line, as well as the 'Icarus' Crucible map. Destiny: Rise of Iron will release on Xbox One and PlayStation 4 on September 20. Bungie ceased updates for legacy consoles at the beginning of August, meaning no further content will be coming to PS3 or Xbox 360. Those looking to jump into Destiny for the first time can pre-order a copy of Destiny: The Collection, which includes all of the game's previous expansions and DLC, as well as Rise of Iron. 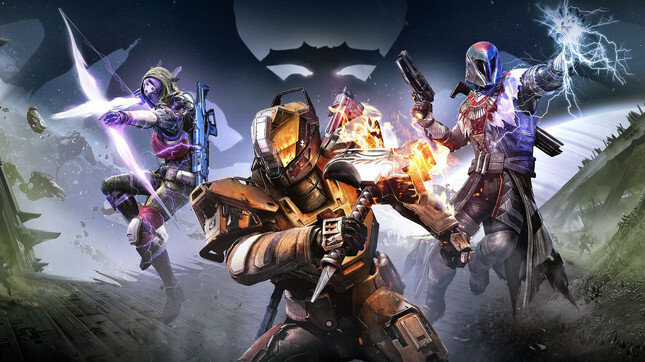 Does Destiny have any real longevity? Two of our writers go head-to-head.